Not every glass and glazing contractor cares about all the little details, but Koch Corporation certainly does! 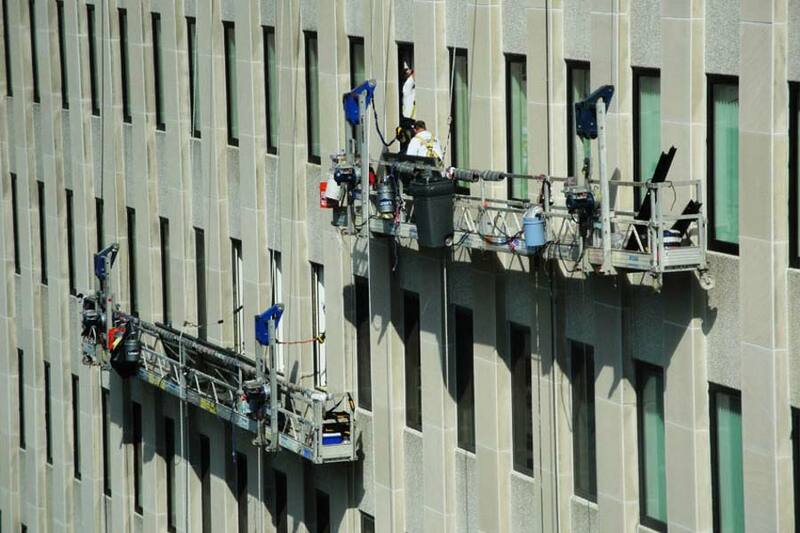 While replacing the 1,292 windows in the West Virginia Capital Complex with new Winco windows, Koch worked hard to allow the normal work schedule in the three state office buildings to be maintained. Each of the three, 11 story buildings had their windows replaced. With the use of wood panel inserts in the window openings during the installation process, along with forty-foot long swing stages on the outside of the building, Koch Corporation made it possible for the employees of the State Office Complex to do business as usual. Even though there was asbestos present, protective barriers and procedures were used to ensure the safety of the office tenants. This is just another example of the excellent work and expertise Koch Corporation is so well known for.